Read this, and look at the pictures, Smiling produces happiness never mind the grammar hear the sense! 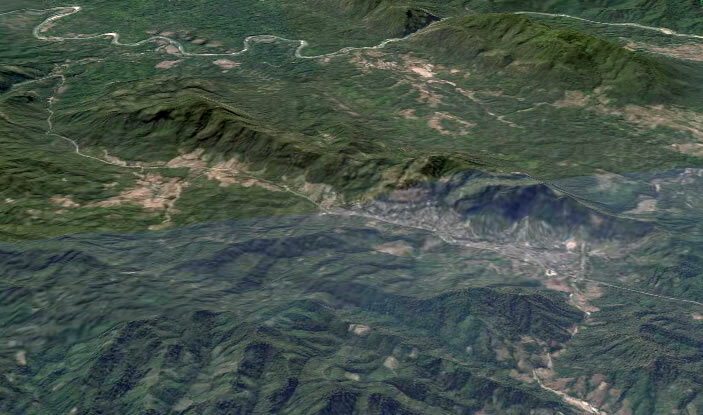 Uses Google Earth to show where the Mae La refugee camp is situated and how big it is. 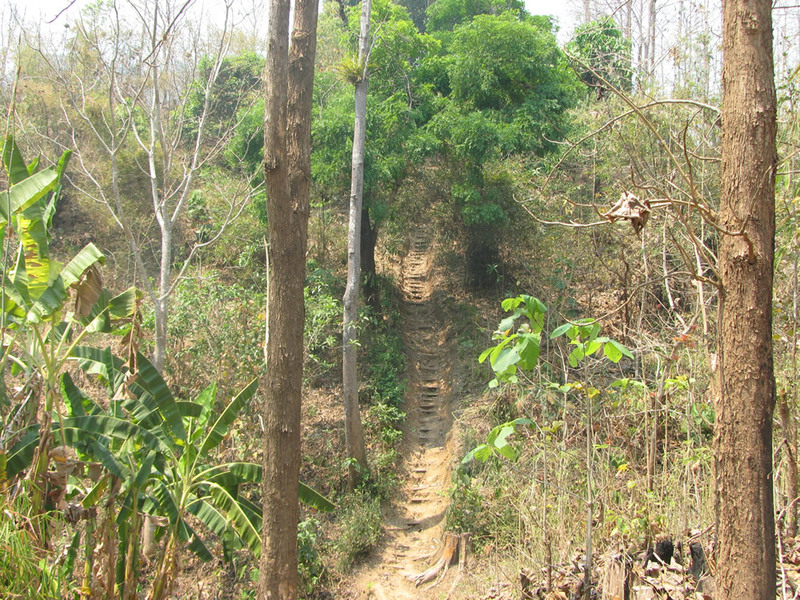 There is a new blog Timelight @ Mae La – Weblog that is being filled with photos from the camp. This page We are the People! We are the Pigs ! is a very good introduction to Mae La. Though the pigpen looked smarter than most that I saw! I hope they won’t mind if I reproduce one photo with its caption (the idea is to show you how good they are and encourage you to follow the blog as it develops!). We also prayed for all the people in Burma to become free. What is a refugee camp like? It seems a funny question to ask, and doubtless every camp is different, certainly the two we have seen were not the same as each other! 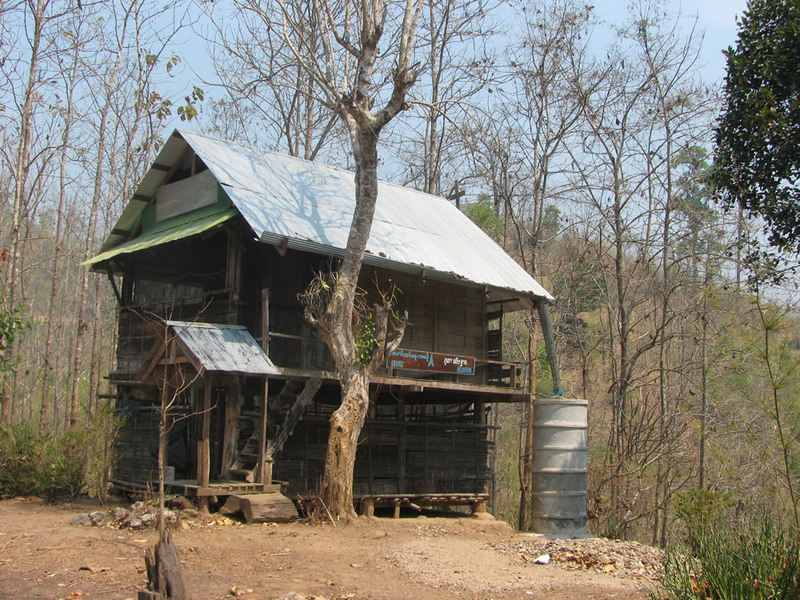 Doubtless too among readers of this blog there will be some who’s ideas of a “refugee camp” may be as unrealistic as ours were before we went to Mae La. I can’t describe “refugee camps”, but I can describe our experience of one corner of one camp. Many people arrive at Mae La on the main highway from Mae Sot the nearest town about 40 minutes to the south. The first time hopefully a contact will pick you up from the bus station, after that it is easy (except on the behind) to catch a “line bus” (a ute with bench seats for passengers either side of the luggage). At first the highway goes through farms, then as it climbs into the hills there are less and less people, and lovely forest on either side. Pleasant country, though not spectacular. After a Thai Army checkpoint you start to pass the camp. The main purpose of the check points seems to be to “catch” Burmese citizens moving freely around Thailand without proper papers (i.e. to restrict the movement of refugees and illegals – there are checkpoints on many roads in the border area, not just near the camp). KKBBSC and its associated Baptist centres (like the home for landmine victims and the children’s “orphanage”) are at the far end, almost were the camp stops and the hill rises to Prayer Mountain. 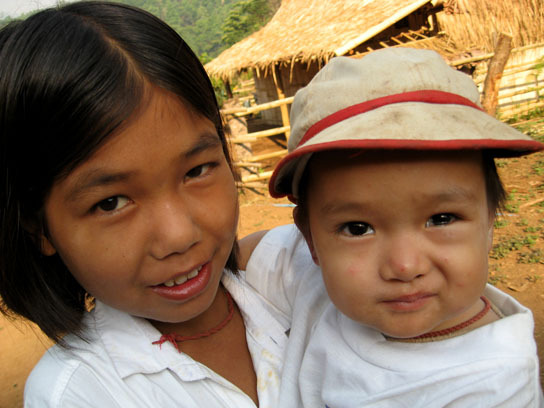 Mae La is the largest in a chain of seven camps inhabited mainly by Karen refugees fleeing the Myanmar Military Government. The chain stretches along much of the length of the Thai border with Burma from the extreme north down to one east of Bangkok. The official figures are certainly an underestimate of their populations, since there are many reasons why some inhabitants of the camps do not want their presence officially known. The UNHCR figures cover only those people who have been granted official “refugee” status, something that sometimes takes years to achieve. According to the figures used by The Thailand Burma Border Consortium as a basis for the food and other resources they supply there were 38,923 refugees in the Mae La camp during March. All one can really say is that between 40 and 80 thousand people inhabit this camp. Driving past the camp in a private car takes about 6-7 minutes at 80KPH with a couple of places where one has to slow for checkpoints, which gives an idea of its size. It is long and fairly thin, squeezed between the road and the steep cliff that rises on the other side of the river. The camp is formally divided into “sections”, KKBBSC is in Section C. I can’t show you photos of the market or of the other sections, since our presence was unofficial we were asked to keep within the college area. So, this refugee camp is like a huge village. But one where no one may have a “proper job”, though many weave cloth, or sell items from large windows in their houses, or teach or study… One where a minimum “ration” of food is provided and only a supplement can be grown, since there is little space for fields. Due to further budget restrictions, TBBC will have to make additional adjustments to the original ration reductions made in December 2007. The current global increase in food prices is striking hard against people who are dependent on aid programs for their survival. Rice prices have risen by over 100% this year. To read more click here. On food in the camp this section of the TBBC website is very informative, and gives a good idea of what is going on. Lest anything I have said above give the wrong impression, and despite terrible suffering imposed by a brutal military dictatorship, seen most obviously in the bodies of the landmine victims, but glimpsed also in the fleeting mentions of not knowing “where my family is, we were separated when the army burned the village” and the like, or in the horrific pictures printed out from the Free Burma Rangers website of the treatment of “porters” (civilians conscripted as slaves and worked often to death by the Myanmar Army), the people in Mae La are cheerful, gentle, hopeful and kind. And, at least in Section C they have a deep and enduring faith in God – who else can they trust? “Prayer Mountain” is a small two storey chapel, near the Mae La refugee camp, it is used mainly for private times of quiet, prayer and reflection. Just outside the wire that surrounds the camp the path leads up a steep hill, through the forest, to the tranquility of “Prayer Mountain”. Please do not stop looking at this blog though, since I already have plans to post here reflections on what we have seen and done over the last nine weeks. This will include both posts that will contribute to an article or two I plan to write, as well as more photos and video. Many of the posts will be ones I’d intended to write – sometimes even made notes in preparation – while we were there, but did not have time! I also hope that some of you may stay with us for the longer haul, as we look for ways to partner with one Pastor and his village, near the border.